A donation from April 2017, the Commodore SX64. This group from China were interested in starting a museum of computing in their home town. The Museum of Computing at Swindon exists to provide you with a record of all aspects of the history of computing. We are family-friendly and welcome people of all ages. You will find many hands-on exhibits, allowing you to experience computers and related items as they were in the past. We welcome groups and school visits - check our Education pages for more information. The Museum is now only open on Saturdays and will not open on Fridays for the foreseeable future. Apologies for the inconvenience. Hear about events and exhibitions by email. 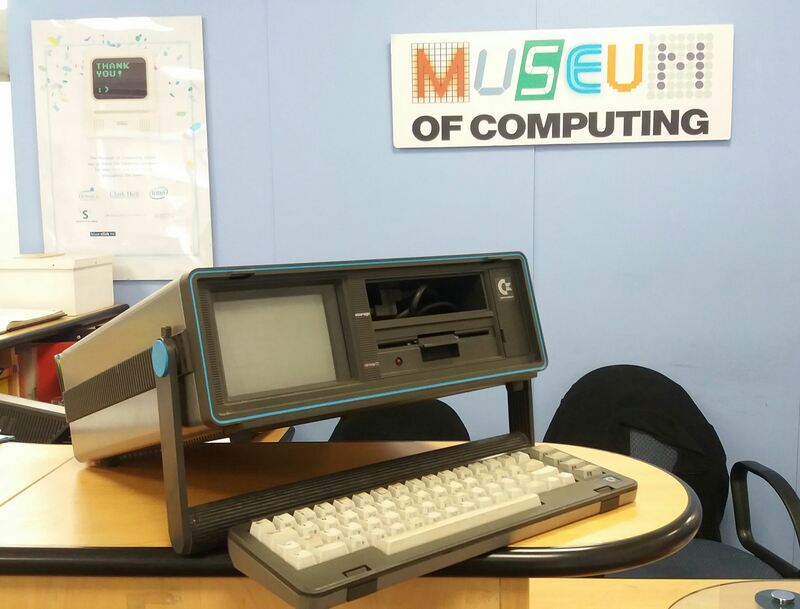 The Museum of Computing is volunteer-run, and not-for-profit. All donations go to the running of the museum. Find out about helping the museum as a sponsor, volunteer or donor. See our most wanted items list. Copyright © 2019 Museum of Computing. All Rights Reserved.